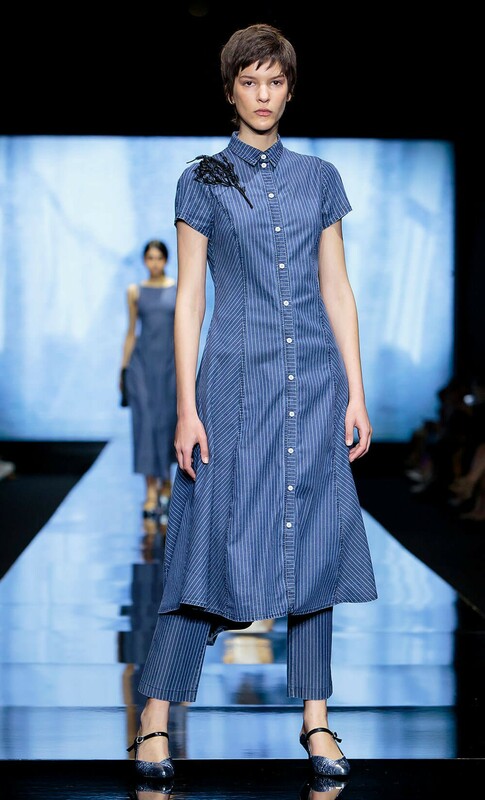 This DORIN FRANKFURT dress is inspired by classic shirting and is crafted from soft denim in a slightly oversized silhouette. The dress is detailed with a sharp collar, front pockets, buttons and inverted front pleats, creating a voluminous skirt that moves elegantly as you walk. 75% Tencel, 20% Cotton, 5% Lycra.